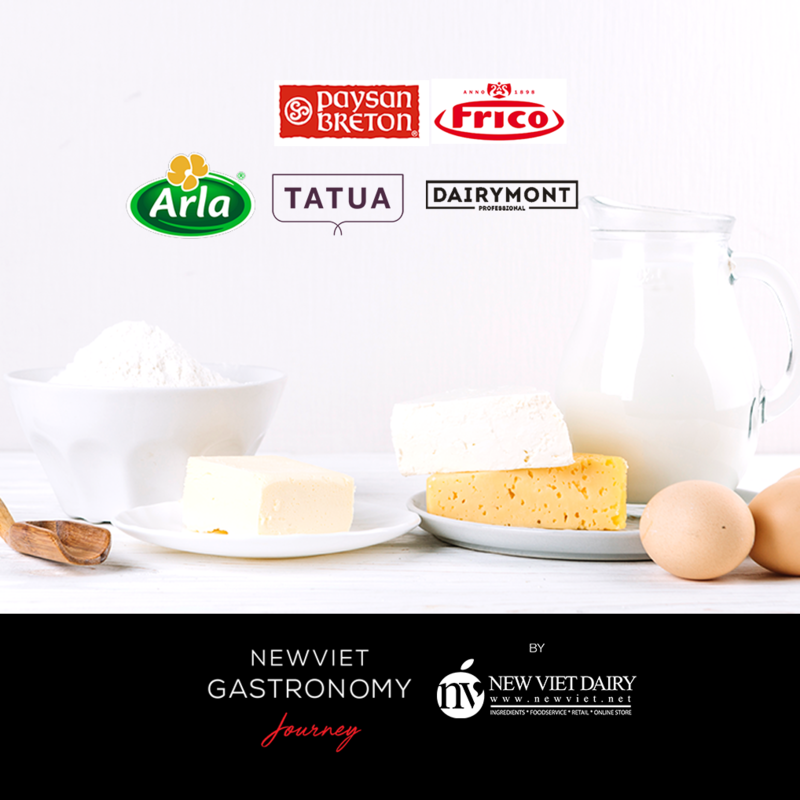 New Viet Dairy will introduce some of the imported dairy high-quality products of some famous brands on the world to the visitors of the upcoming Food & Hotel Vietnam 2019, taking place from 24 – 26th April 2019, at SECC, Saigon Exhibition & Convention Center. In this event, you will find some tips to optimize the business efficiency in the food & beverage sector. 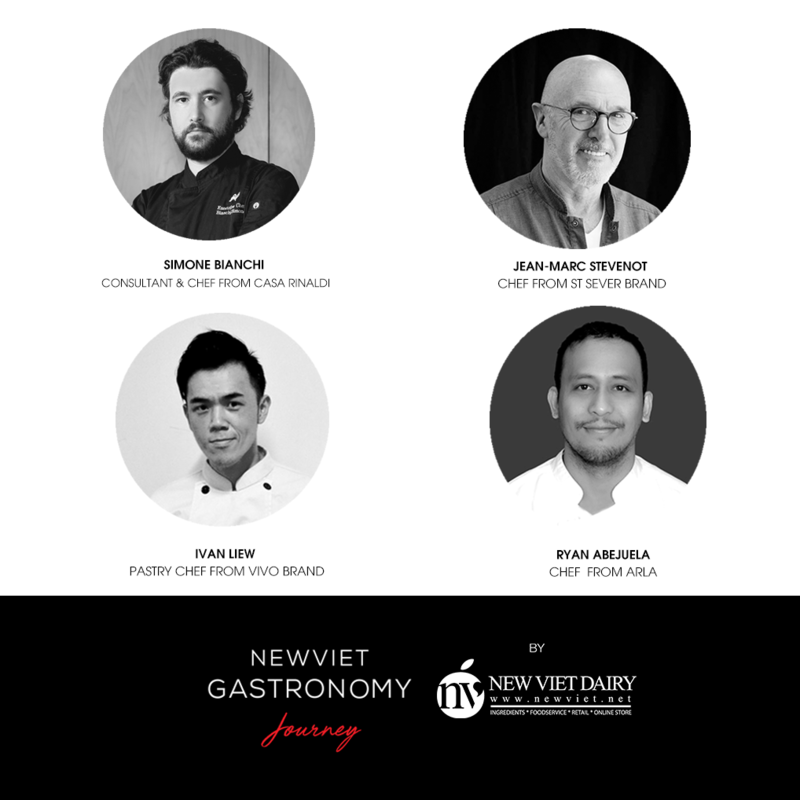 All will be shared by our experts & Iron Chefs from New Viet Gastronomy team. Accompanying us in this activity is the world famous brands: Arla,Tatua, Paysan Breton, Frico and Dairymont. Tatua: Founded in 1914, TATUA is the oldest dairy company in New Zealand. Each year, approximately 94% TATUA products export to over 60 countries worldwide. On this occasion, we introduce to you the new & improved packaging. Paysan Breton is a brand from France since 1969 with the traditional and original flavors products are made by traditional methods. The products are Fresh Milk, Cream Milk, Butter and Cheese. Frico: Frico Dutch cheeses are known and loved throughout the world. Frico began as cooperation in 1898 when six dairy factories joined forces to form the Foundation of Friesian Cooperative Dairy Export Association. It is now one of the main brands of FrieslandCampina. Dairymont: Dairymont products are made by the Bega Cheese Group, a leading Australia dairy company. Dairymont products are designed for professional foodservice applications. On the upcoming future, Dairymont is changed to Bega brand. The Food & Hotel Vietnam 2019 (FHV2019) taking place from 24 – 26th April 2019 at the SECC, Saigon Exhibition & Convention Center, 799 Nguyen Van Linh, District 7, HCMC, Vietnam. We are at the Booth AE501. Look forward to see you there.